Relational database management systems like MySQL are needed for a significant portion of web sites and applications. However, not all users feel comfortable administering their data from the command line. To solve this problem, a project called phpMyAdmin was created in order to offer an alternative in the form of a web-based management interface. 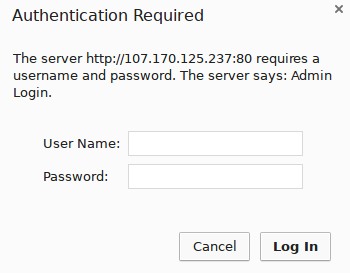 In this guide, we will demonstrate how to install and secure a phpMyAdmin configuration on an Ubuntu 14.04 server. We will build this setup on top of the Nginx web server, which has a good performance profile and can handle heavy loads better than some other web servers. To ensure that you have a solid base to build this system upon, you should run through our initial server setup guide for Ubuntu 14.04. Among other things, this will walk you through setting up a non-root user with sudo access for administrative commands. The second prerequisite that must be fulfilled in order to start on this guide is to install a LEMP (Linux, Nginx, MySQL, and PHP) stack on your Ubuntu 14.04 server. This is the platform that we will use to serve our phpMyAdmin interface (MySQL is also the database management software that we are wishing to manage). If you do not yet have a LEMP installation on your server, follow our tutorial on installing LEMP on Ubuntu 14.04. With our LEMP platform already in place, we can begin right away with installing the phpMyAdmin software. This is available within Ubuntu's default repositories, so the installation process is simple. During the installation, you will be prompted for some information. It will ask you which web server you would like the software to automatically configure. Since Nginx, the web server we are using, is not one of the available options, you can just hit TAB to bypass this prompt. The next prompt will ask if you would like dbconfig-common to configure a database for phpmyadmin to use. Select "Yes" to continue. You will need to enter the database administrative password that you configured during the MySQL installation to allow these changes. 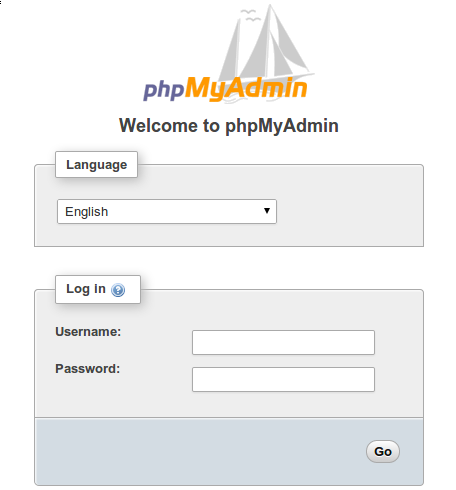 Afterward, you will be asked to select and confirm a password for a new database that will hold phpMyAdmin's own data.